Secondhand smoke has been identified as a health hazard only by firsthand smoke in magnitude. While elevated risks of heart disease and several cancers have been tied to secondhand smoke, researchers have now found that dental cavities are also more likely to occur in patients exposed to secondhand smoke. Here is a look at this new research and how it relates to oral health preservation. The present study was performed in Japan, where researchers examined 15 studies in order to explore a potential link between secondhand smoke and tooth decay. Evidence of secondhand smoke contributing to cavity development in primary teeth was deemed weak to moderate, while the decay risk for secondary teeth was rated as weak. The researchers noted that this link could indeed show a risk for patients subdued to secondhand smoke. With more research, evidence of causation may be found. This research has again demonstrated that oral health is dependent on a vast array of factors for patients. Dentists should now consider secondhand smoke in their assessments of individual risk for cavities, on top of other risk factors for tooth decay, such as heavy consumption of refined carbohydrates and low socioeconomic status. 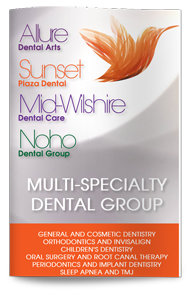 Modern dentistry is increasingly focused on the preventive strategies that promote oral well-being in patients. With the current knowledge that secondhand smoke may be a contributing factor in tooth decay, patients can make informed choices about their living situations to maintain healthy teeth and gums. Patients can learn more about the link between secondhand smoke and cavities at a consultation with our expert in Root canal in West Hollywood.